Neon Sound NS-1, is a 1,600 square foot suite, with a great sized control room, a large live room and a small lounge up front. 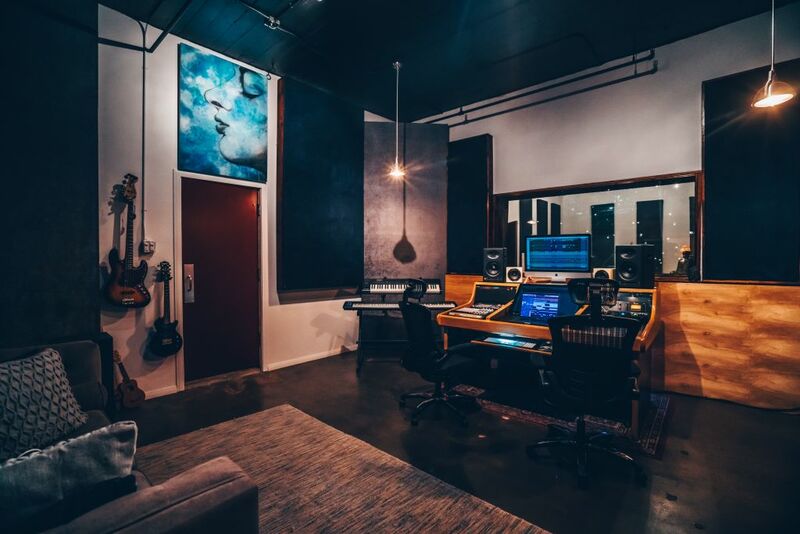 The Control Room is a fantastic space to write, record and mix in. The view of the LA skyline is an inspiration, parallel to none. Here you have a selection of guitars, bass, mic pre's and monitors. As well as a lightning fast iMac with Pro Tools 10 HD and all the plug ins you would ever need, and then some. The desk is set up to be plug and play, allowing you to easily patch into the mic chain and speakers with just 2 cables. 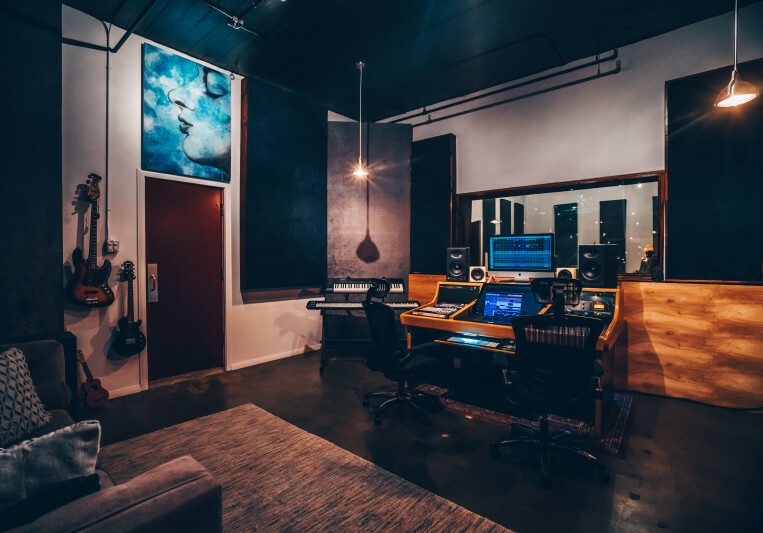 The oversized live room has an upright piano, more guitars, 16 foot ceilings, and a great vocal tracking space that can be arrange to be totally dead if needed.